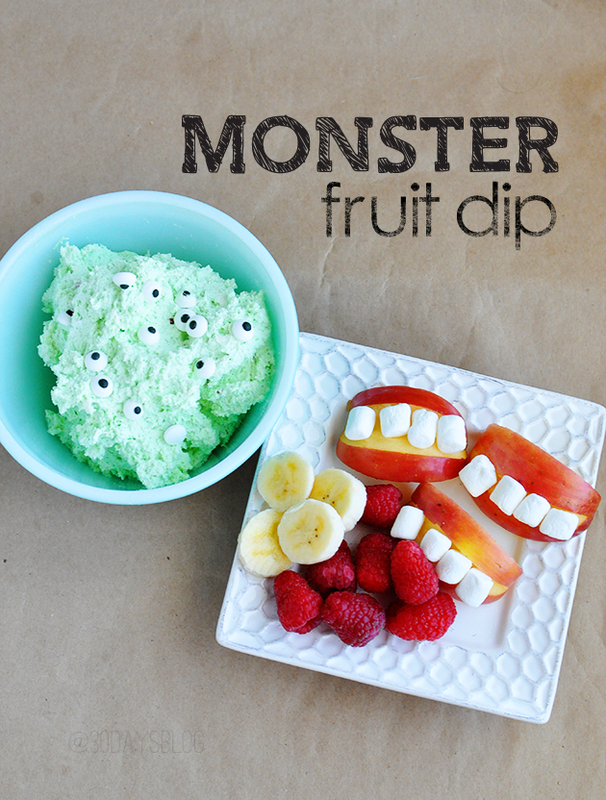 I’m always on the hunt for fun Halloween non-candy related friend and school treats. At our school we’re not allowed to bring candy which can be a big challenge. This year I designed some cute printable lip balm labels and cards. I went to my 12 year old daughter to get her opinion and she gave them two big thumbs up. So if these can pass my 12 yr old test, I’m pretty sure they can pass with anyone. 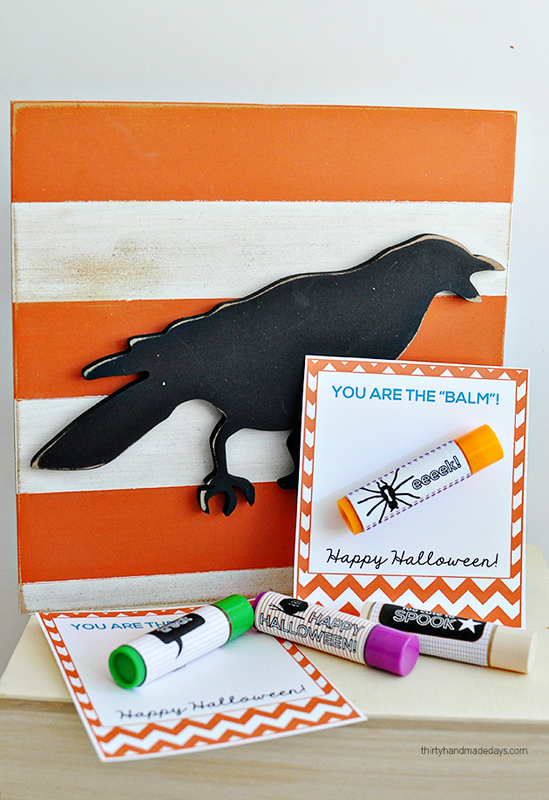 I couldn’t help but make a “you are the balm” pun for this printable. I live for a good pun and these were too perfect. I don’t love the scary side of Halloween so I used some bright colors and sass. 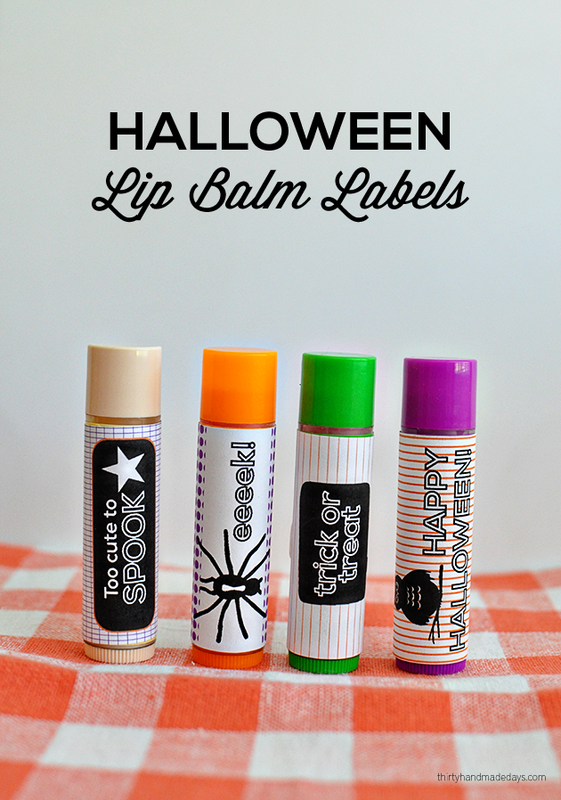 Simply print out the sheet of lip balm labels and cut along the lines. Peel the label away and adhere to the lip balm tube. 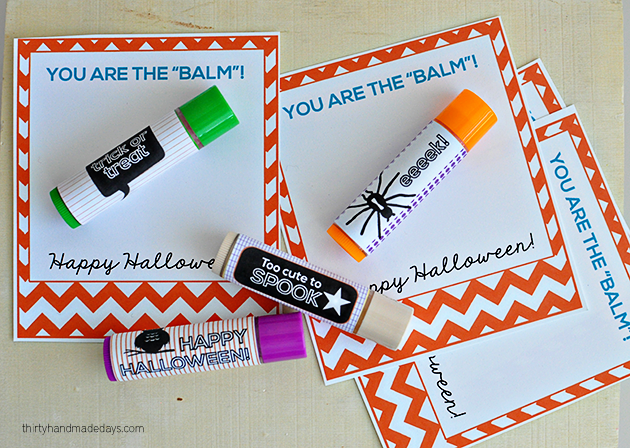 Place a glue dot on the back side of the lip balm and attach to the “you are the balm” card. 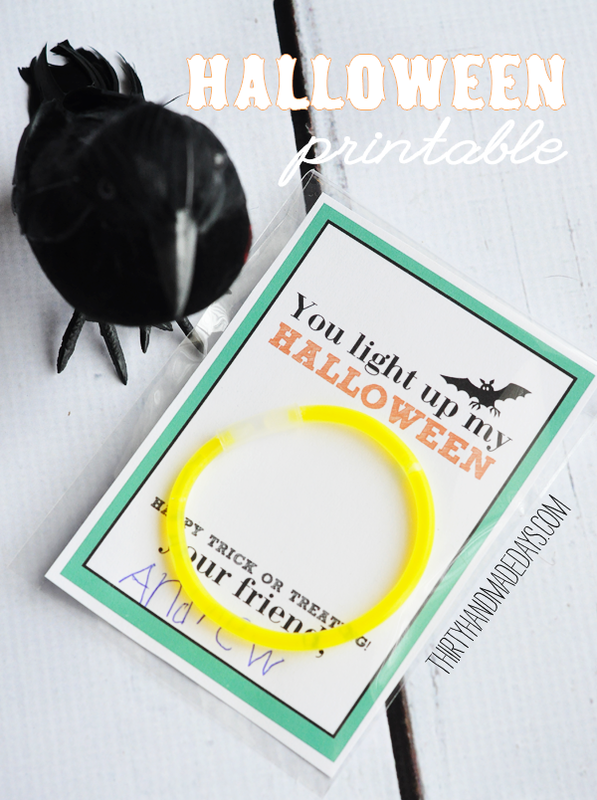 Pass them out to friends and classmates. Ta – da! Didn’t they turn out cute? Download a set of lip balm labels. For personal use only. Thanks! 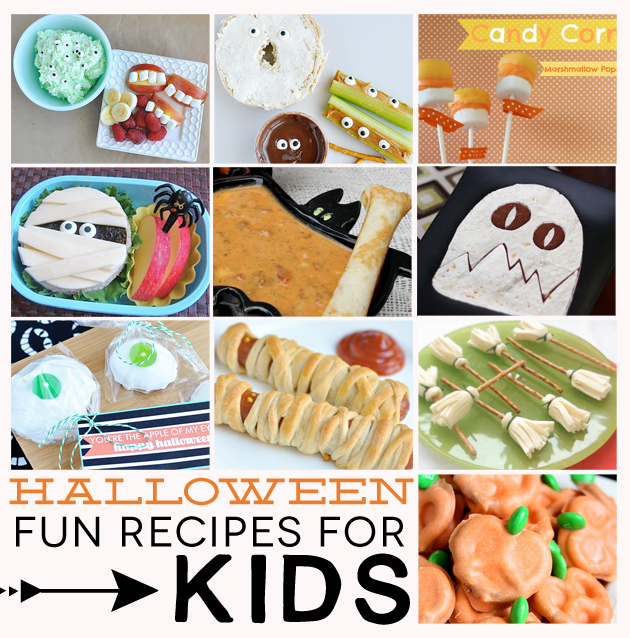 This post was originally shared at eighteen25 blog for their Spooktacular September series. 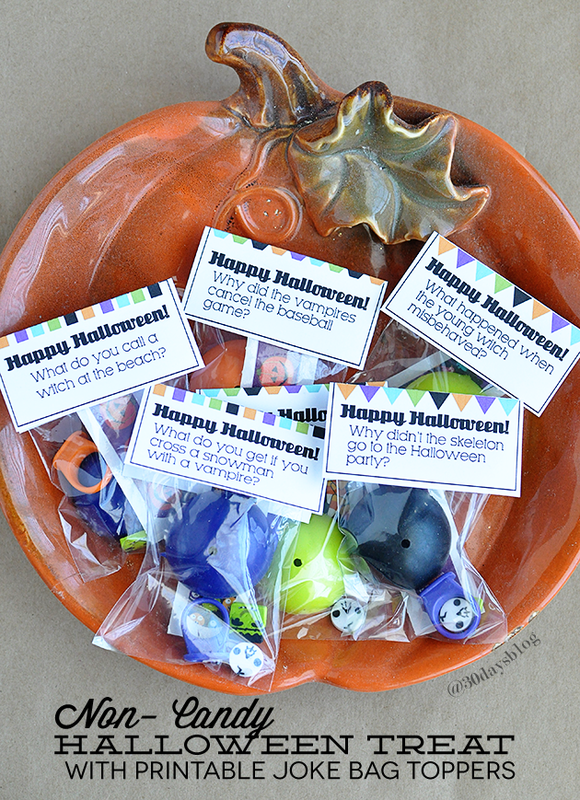 I love the Non-Candy Halloween Treads Lip Balm Labels -BUT,,,,,,I cannot get them to print! 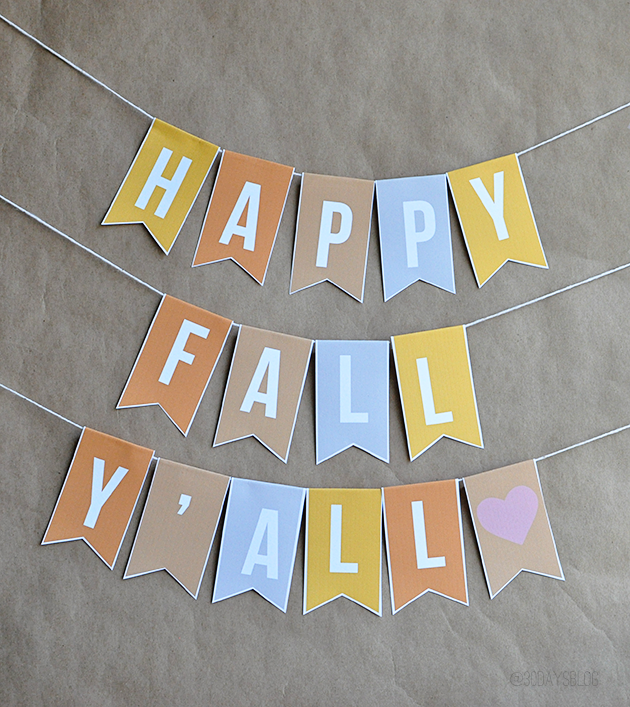 HELP…..
What program do you use to make the labels? Hi Lisa! They are on the link in the list of supplies. Thanks! 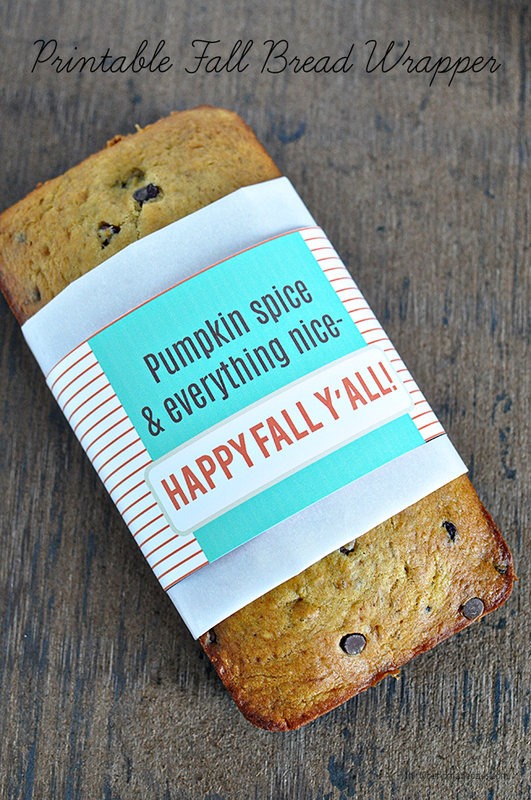 Would love to download those labels! Soooo cute! Hi Debbie! They are on the link in the list of supplies. Thanks! I cant find the link to download these either! Hi Candi! They are on the link in the list of supplies. Thanks! Awesome, I thought I clicked it but I must have missed that. got it thanks for sharing. I love the lip balm idea but I can’t for the life of me find the download link to the labels. I got the card it goes on but the lip label eludes me!!!! lol Can you help? Hi Sharon! They are on the link in the list of supplies. Thanks! Hi Lorene- I’m sorry I didn’t see this comment until just now! They are on the link in the list of supplies. Thanks! Funny that you posted the “balm” today. I just received my Avon order where I order their fall/Halloween flavor lip balm for my granddaughters. Like minds right.